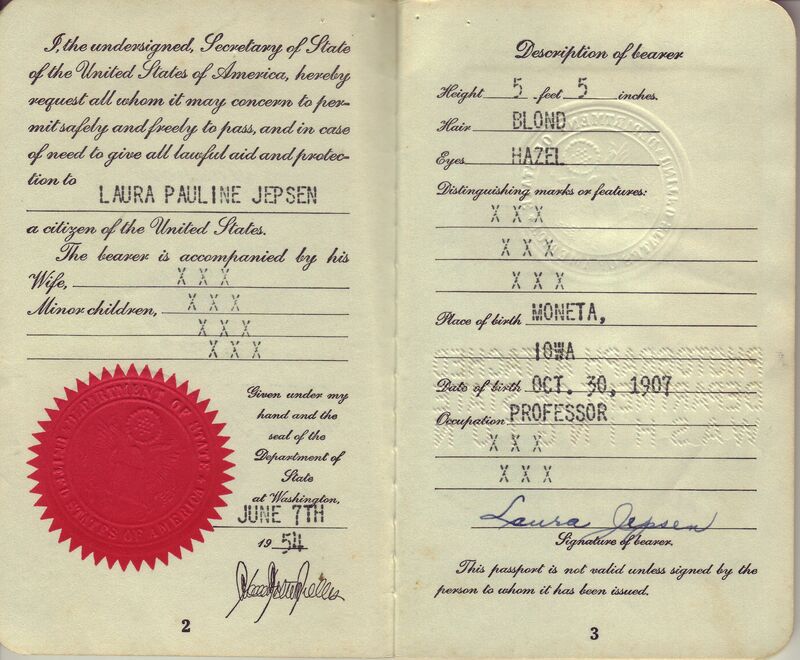 In the personal effects left behind by Laura were discovered three passports she had utilized over her lifetime to travel around the world. 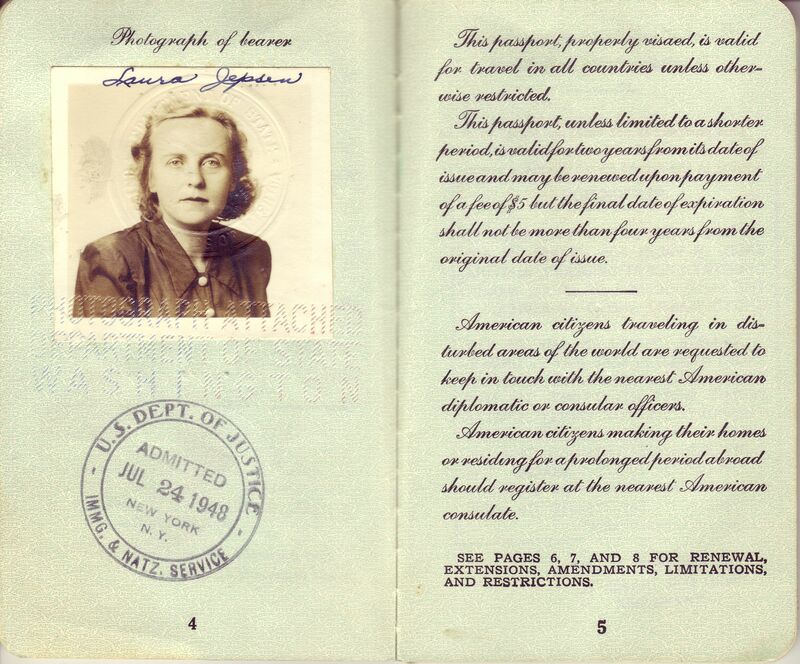 These documents offer a glimpse into the destinations she visited and are among the very few pictures we have of Laura. 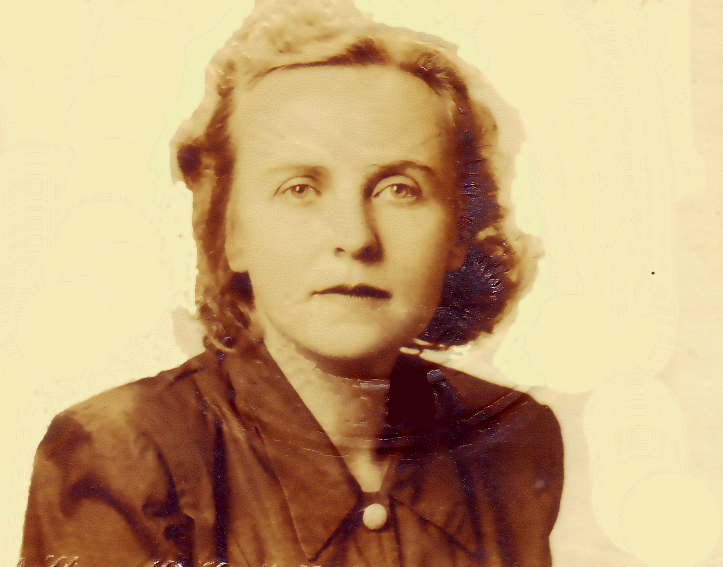 When looking at them I personally wonder at how age and perhaps loneliness crept into her life. The physical changes evident in her face are haunting to someone like myself who has studied her life extensively. 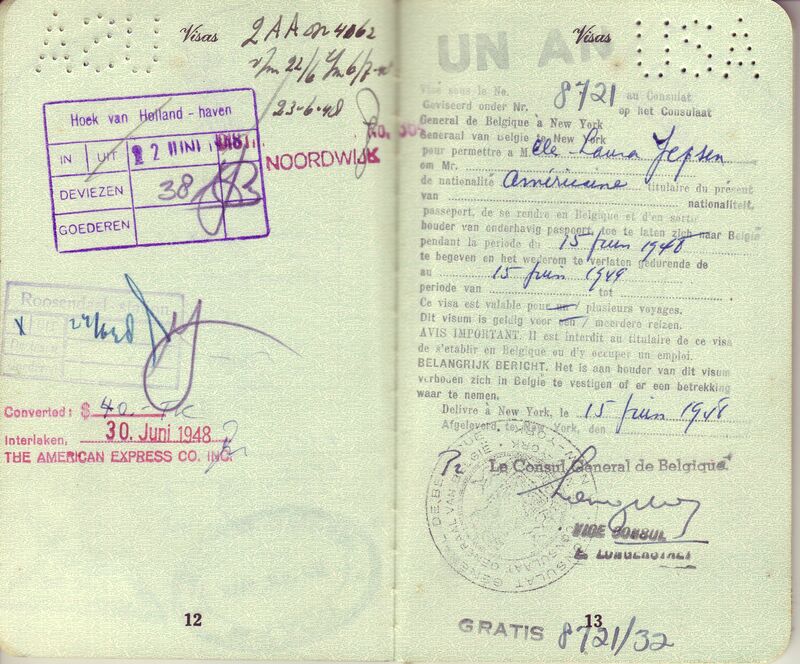 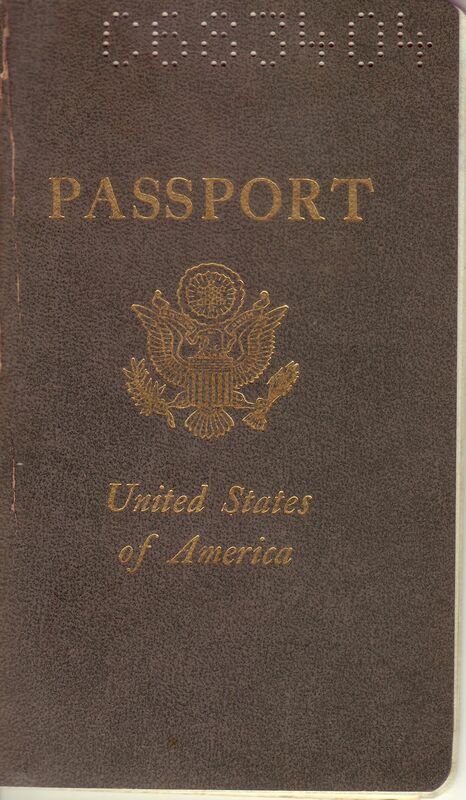 The first passport dates from 1948 and shows travel to the following destinations; Italy, England, Holland, Belgium, France & Switzerland. 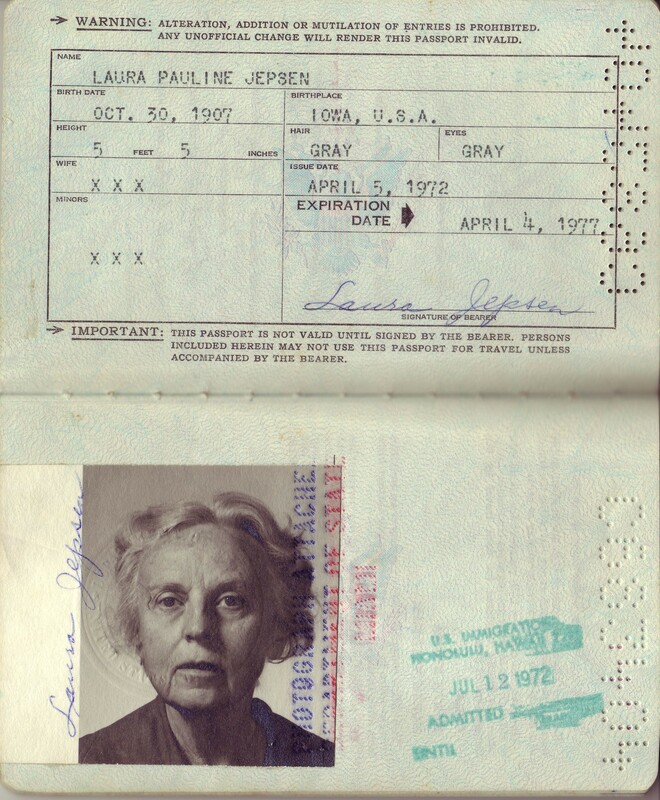 Laura would have been 40 years old in the photo. 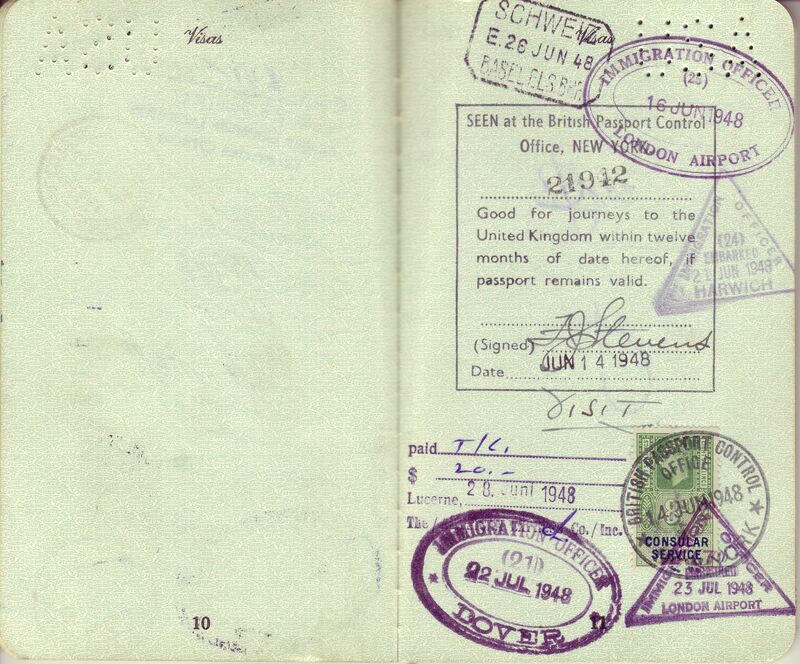 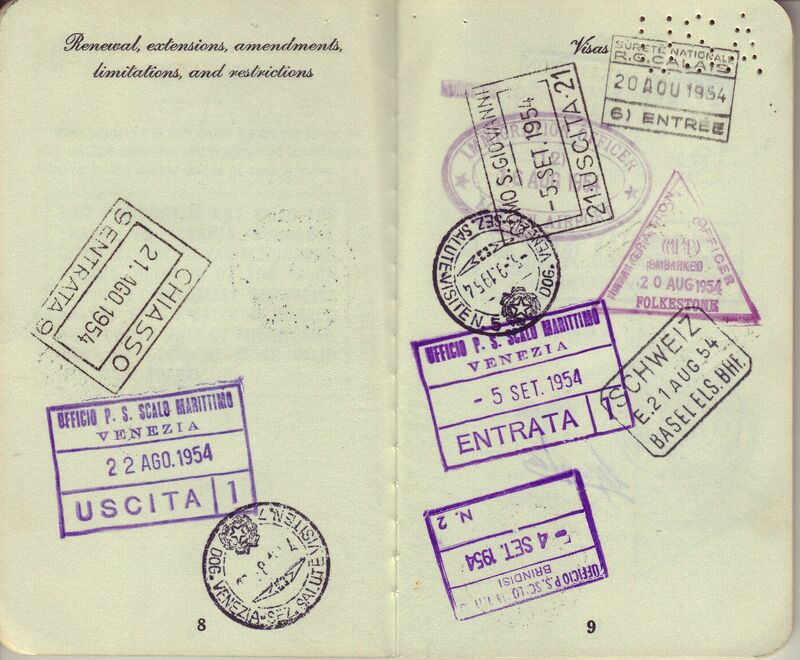 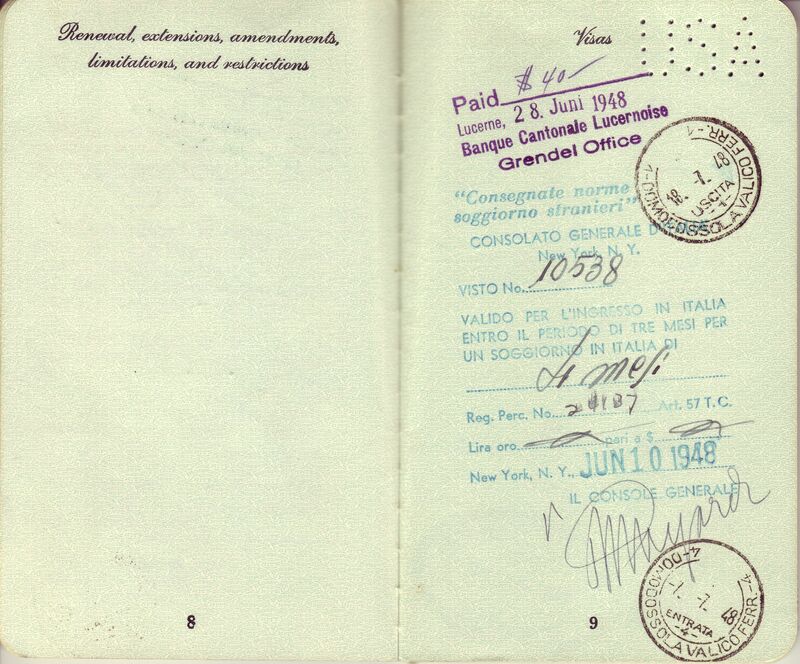 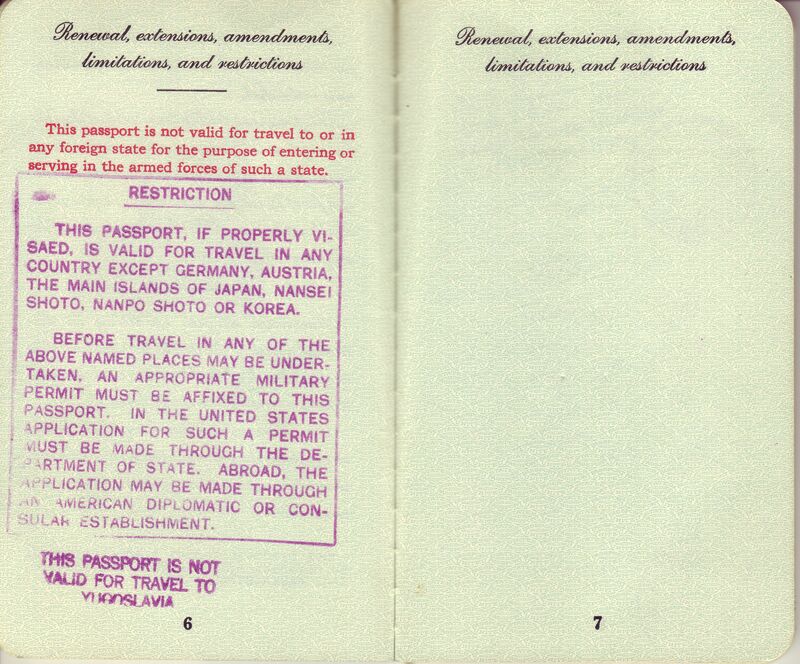 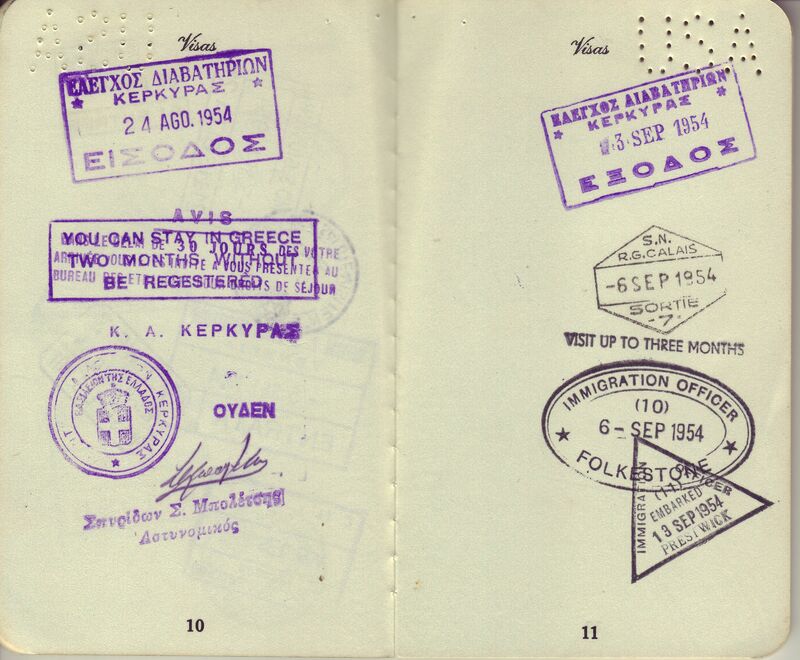 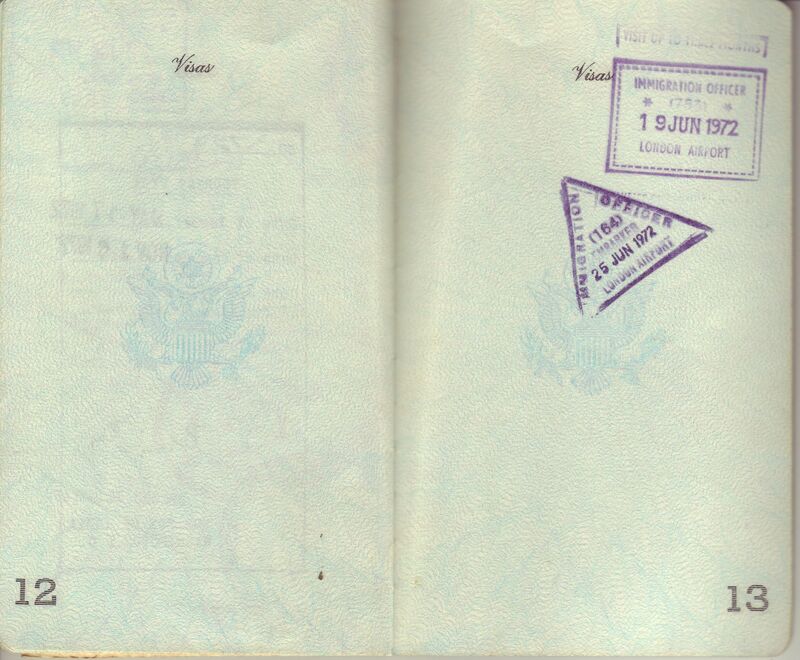 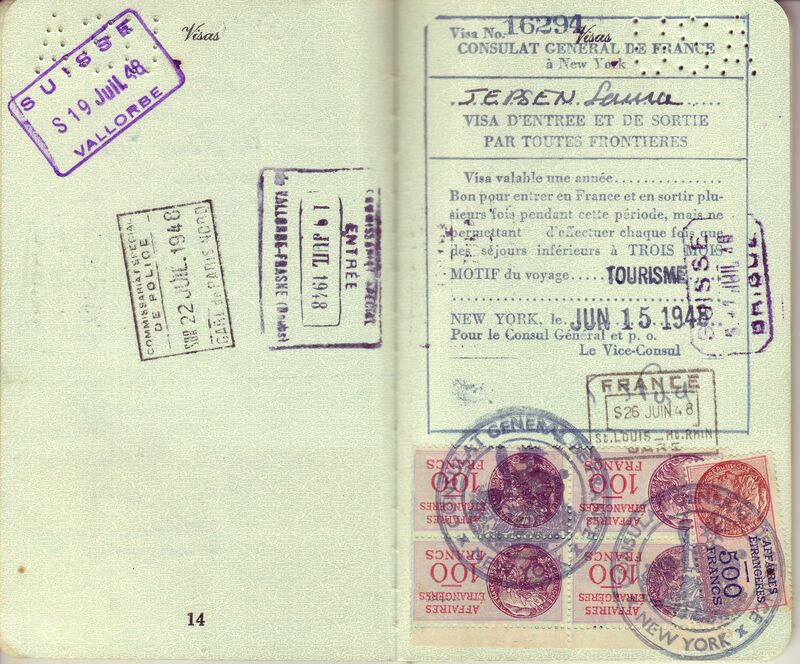 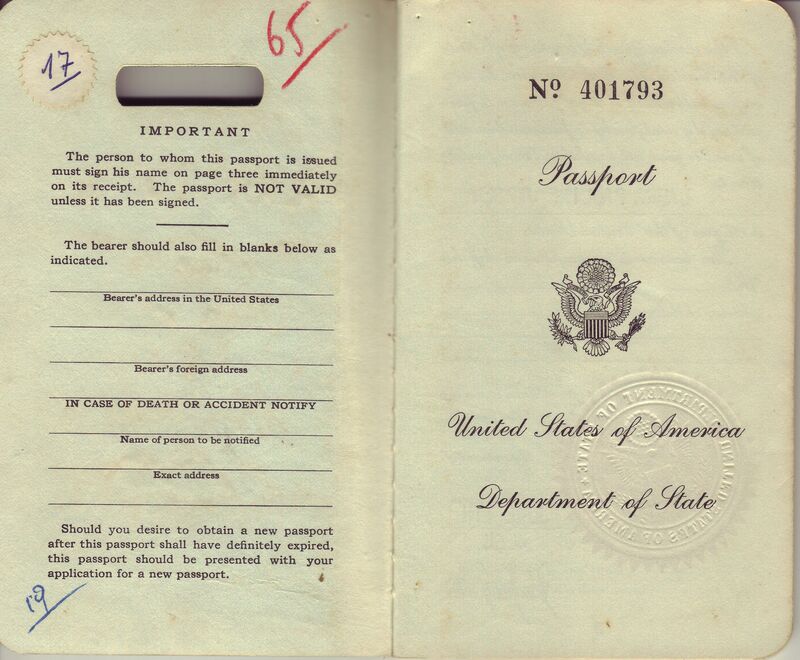 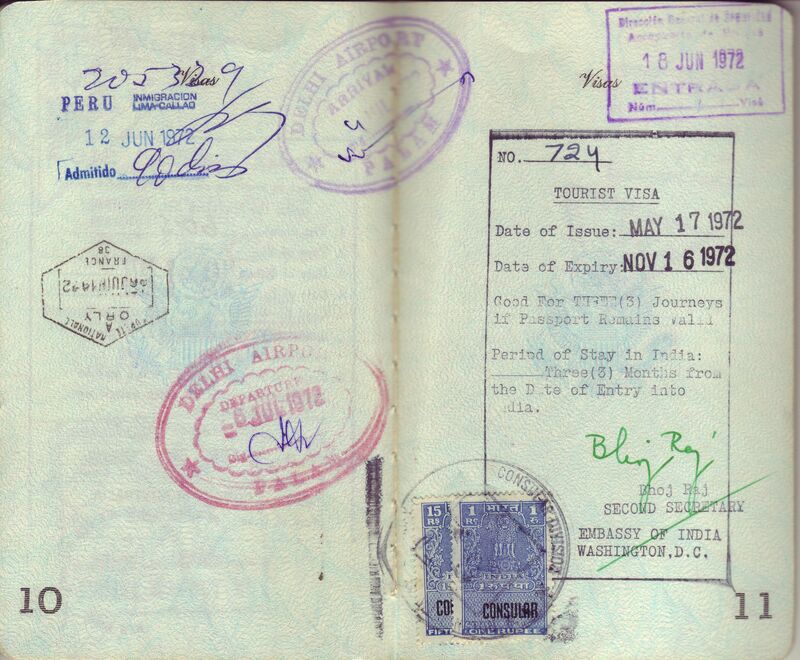 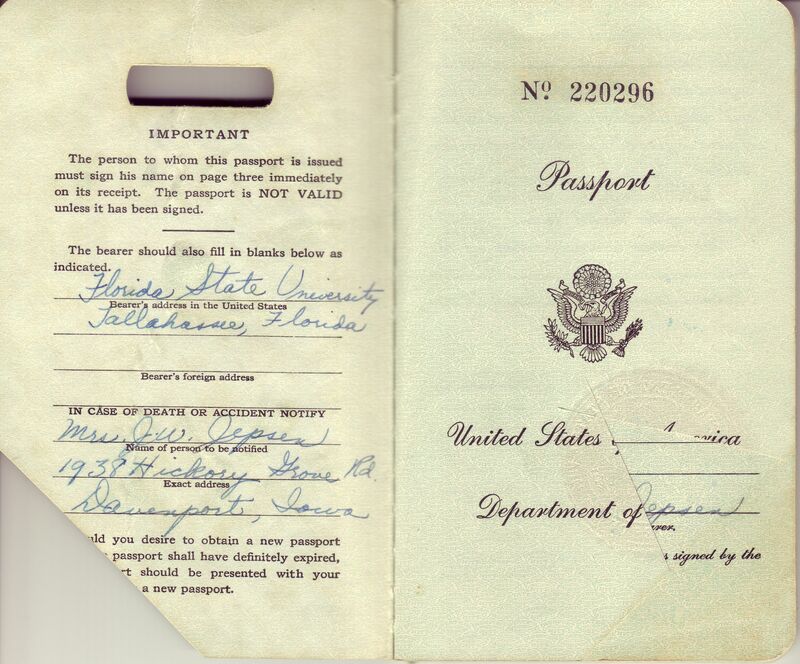 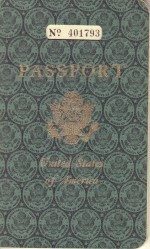 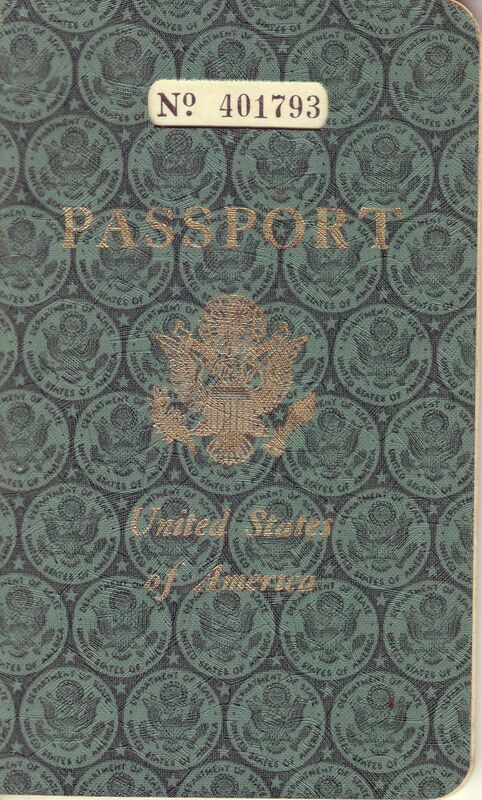 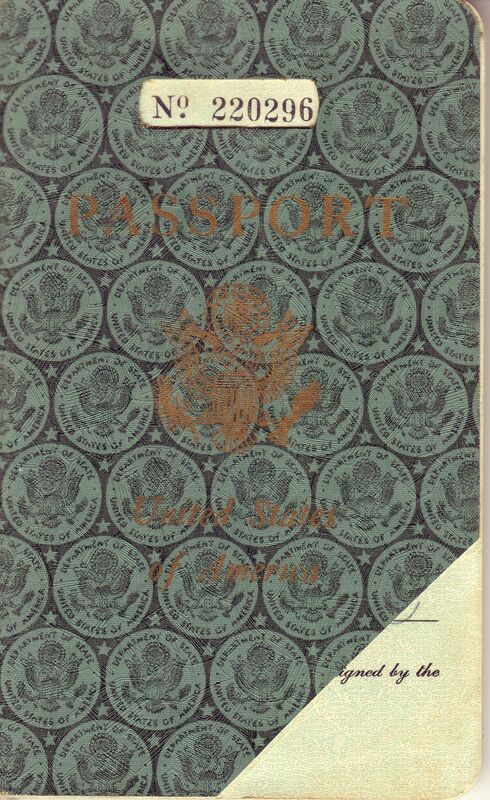 The second passport was issued in 1954 and shows travels to Italy, Switzerland, England & Greece. 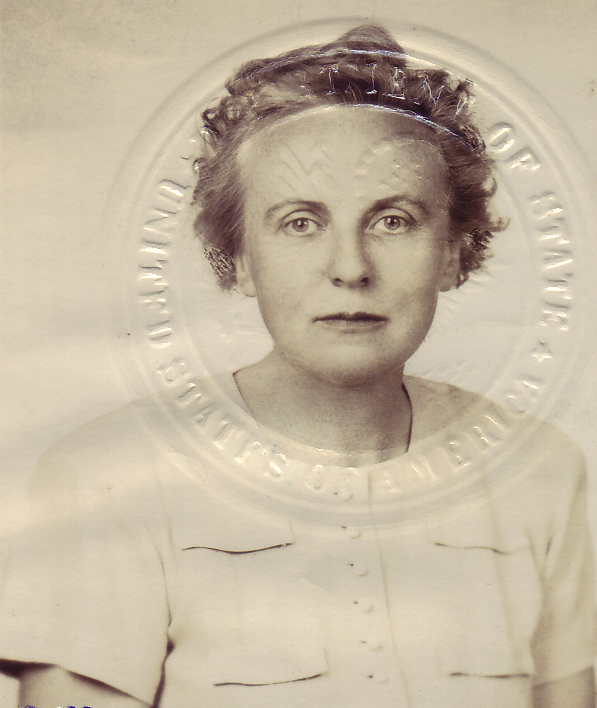 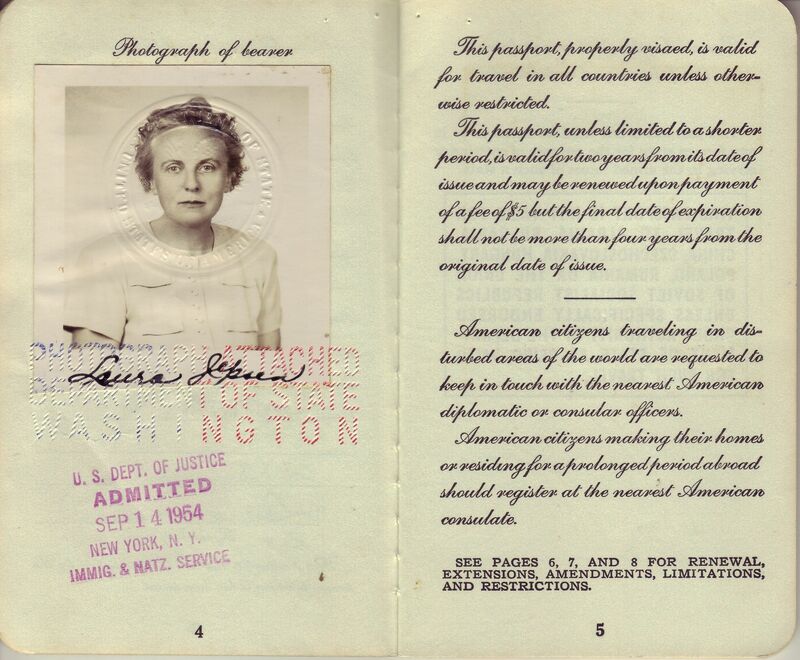 Laura would have been 46 years old when the passport photo was taken for this document. 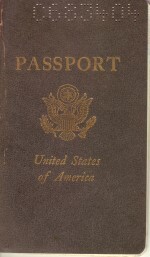 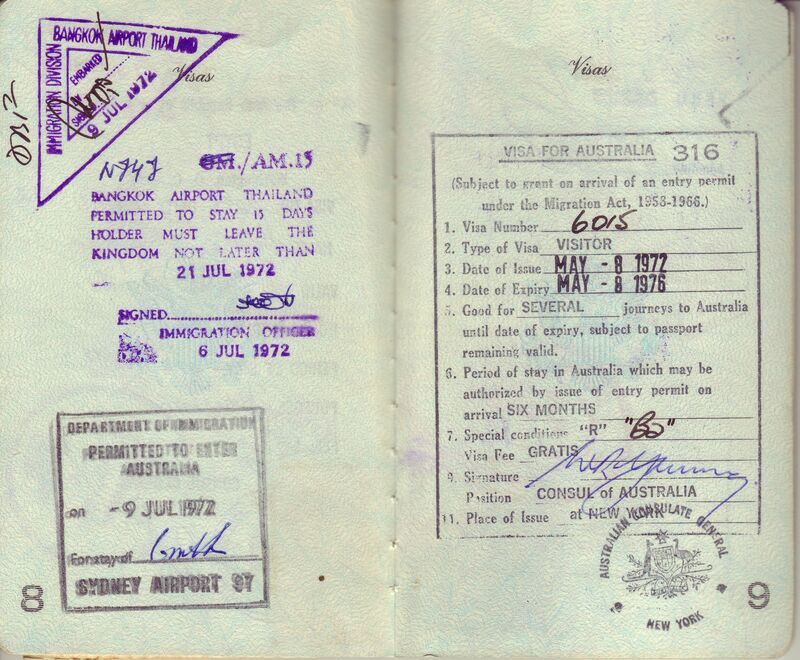 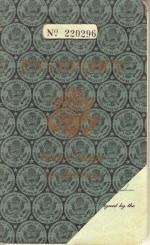 The last passport dates from 1972. 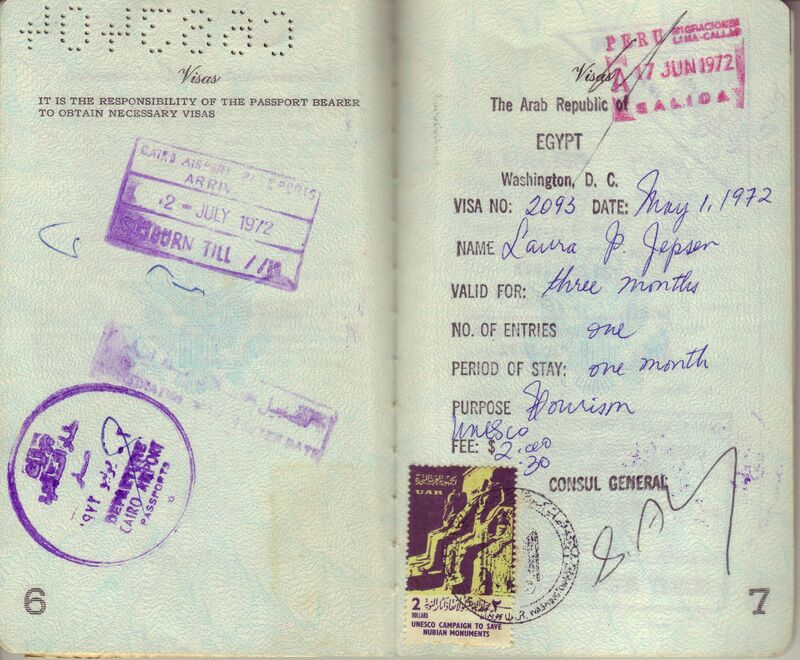 The stamps in this one show her journeying to Egypt, England, Australia, Thailand, Peru & India. 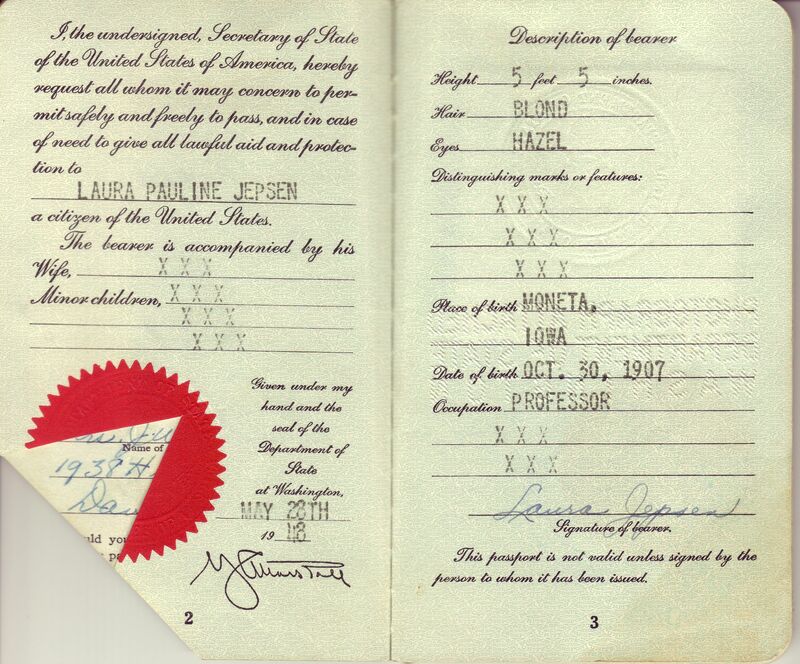 Laura was 64 in this photo.